When I discovered Jack was teething we tried everything, we tried cold teething rings, teething gels and finally resorted to Teetha Granules. If I'm honest I wish we had found the Teetha Granules first. Jack didn't like the cold teething rings but would have a ring at room temperature. As for the gels, they worked for a short period of about 5 Miniutes then he would scream for more. I took a look online at what else was available for teething and some good recommendations. Thats when I discovered Nelson's Teetha. I popped up to my local Sainsbury's to purchase some to try with Jack. Firstly, I thought it was a bit weird how a small sachet of powder would help my baby with all the pain of teething, however we gave it a go. At first Jack wasn't impressed with me putting powder into his mouth but he soon got used to it. After a couple of miniutes, he was soothed with no more screaming. 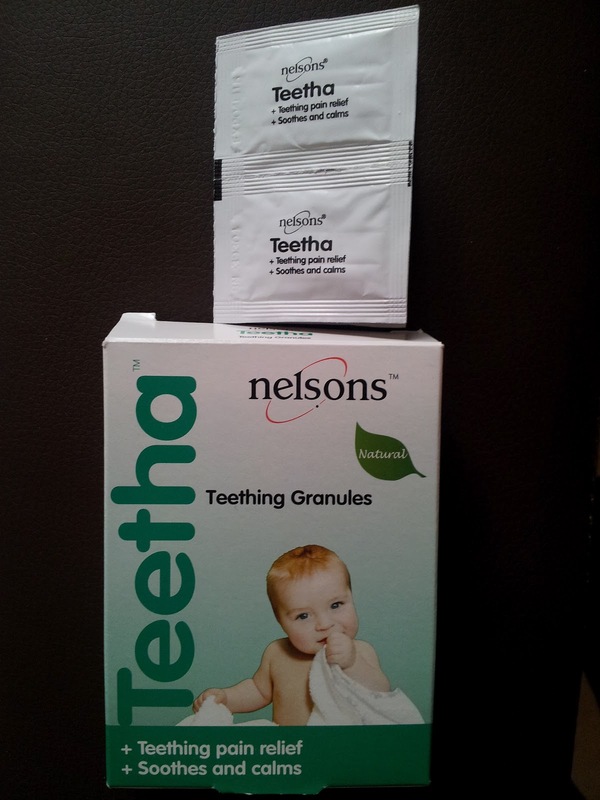 Nelson's Teetha are a homeopathic medicine which helps the symptoms of teething. They come in a box of 24 individual sachets, and you can give upto 6 sachets a day, however Jack only requires one. The sachets are really simple to use, you just tear it open and pop it into your child's mouth, not too quickly though. There isn't an age limit, which is always a good thing with teething as it can happen at any time. With all medicines always read the label first. I can truely recommended these for any teething babies for relief. Nelson's Teetha Retail at £4.89 at time of writing.